Hello Kamdolls! It’s the start of another week, and we have decided to show you exclusive pictures of some amazing Ghana weaving styles that you should rock. The truth is that no matter how well you think you are dressed and proper attention is not paid on the hairstyle then the dressing is incomplete! 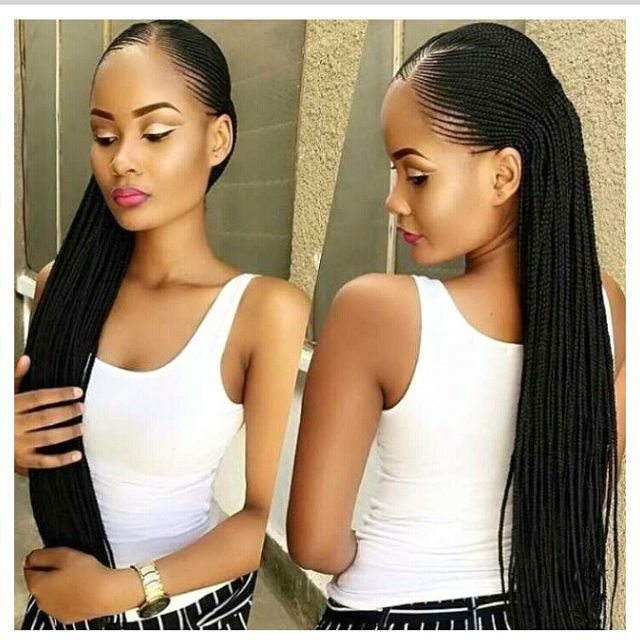 It alway looks very Nice and can last long, ghana weaving requires a unique way of braiding unlike the normal weaving, it requires continuous addition of hair to a single cornrow. Choose the hairstyle that best matches your preferences and don’t forget to give yourself a hairstyle change or treat this Love season! “The Real African Queen” – Yvonne Jegede Traditional Edo Wedding To Her African King Kunle Fawole!